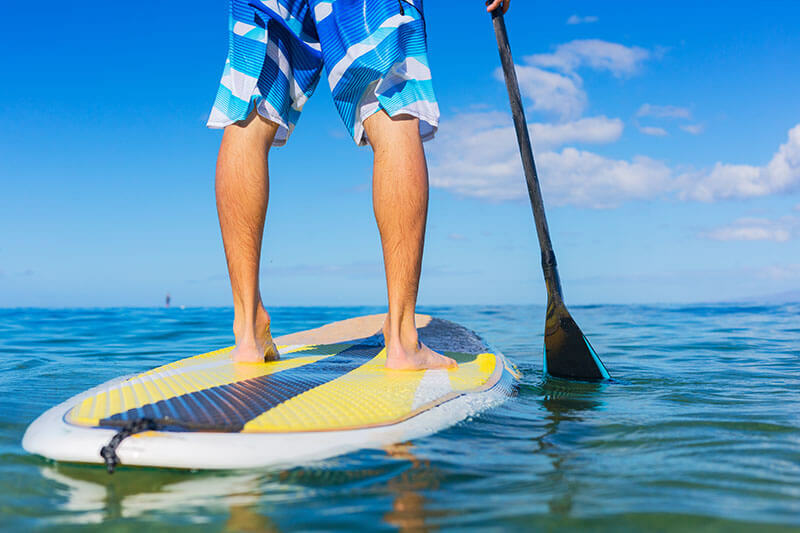 We offer stand up paddle board (SUP) hire and lessons from Budds Beach, a beautiful stretch of waterway in the heart of Surfers Paradise, on the spectacular Gold Coast. Come and have a SUP in paradise! 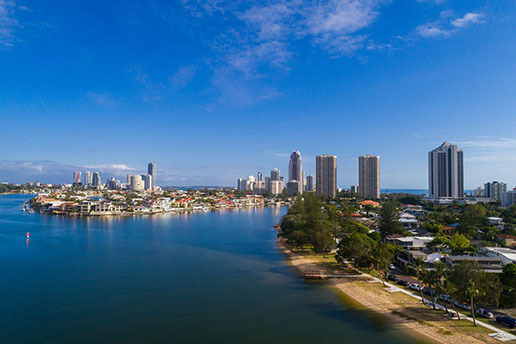 There is nothing more enjoyable than quietly paddle boarding along one of the Gold Coasts most picture-perfect waterways in the heart of Surfers Paradise. 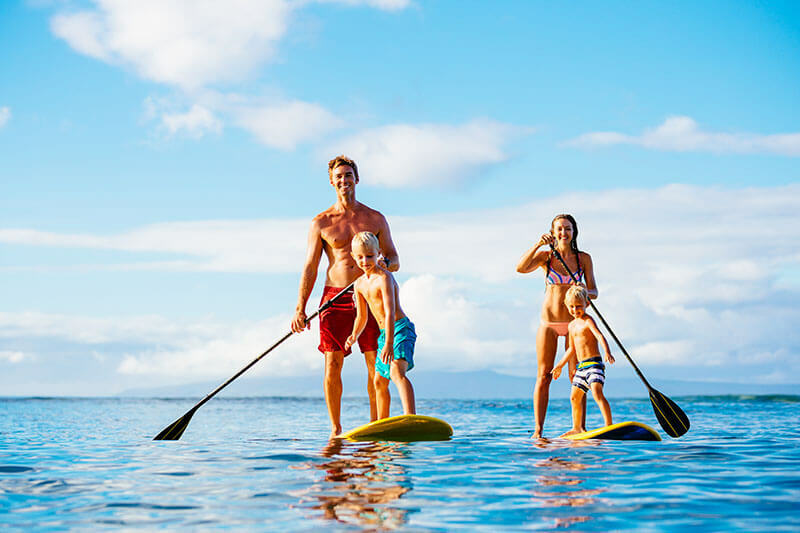 We are a local family and would love to be able to share with you the opportunity to enjoy paddle boarding in our quiet, little-known, beautiful piece of paradise! $20 per board for the first hour and only $10 for each additional hour! 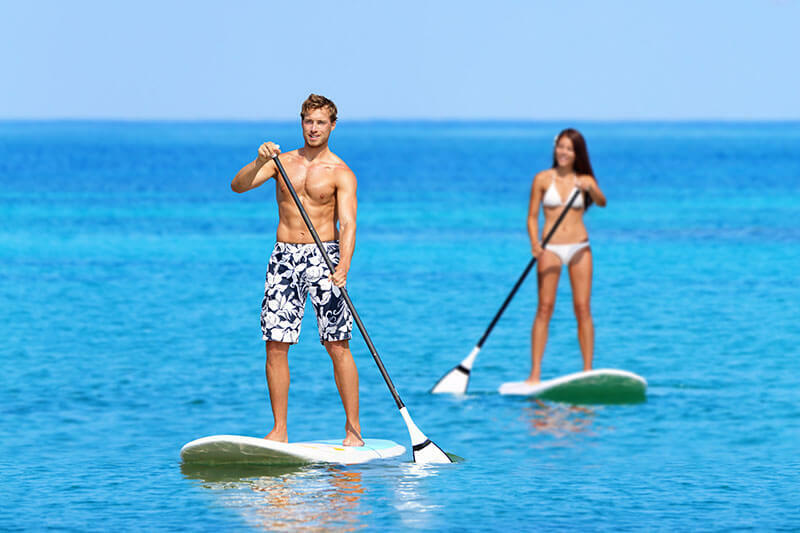 If you have already tried paddle boarding before you can just hire a paddle board and cruise on your own adventure. If it’s your first time and you would like to hire a board then a good option is to do the 15 minute introductory lesson so you can learn how to balance, control the board and keep safe. If you would like a lesson and for us to personally show you around our magnificent backyard we also offer lessons and guided tours. For all paddle board hire, lessons and tours you must book in advance so we can be sure to have an instructor with your equipment available to help you out when you arrive. Thanks, and we look forward to helping you have a SUP in paradise! Our location at Budds Beach is ideal for paddle boarding as it’s in calm water and protected from the prevailing winds. We even see the occasional pod of dolphins cruising past and late afternoon you will be treated to uninterrupted views of the stunning sunsets.